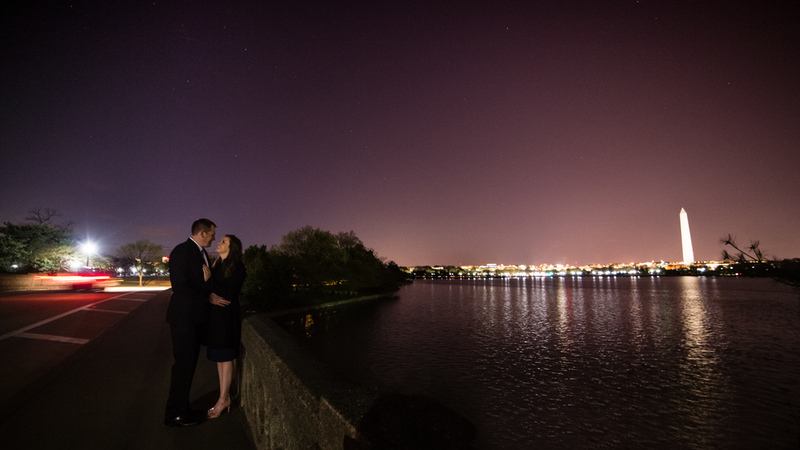 I admit it; the Washington DC Tidal Basin is an extremely popular place for engagement photos. I have photographed couples there many times, but each shoot is a chance to get creative in new ways! The Tidal Basin is full of variety, with natural scenery of cherry blossom trees, the water line, and a number of monuments all around. Combine that with the kind, friendly, and loving personalities of Scott and Valerie and it was easy to capture unique portraits! I had a lot of fun trying out low light night shots in particular, using nothing but ambient light around the Jefferson Memorial. 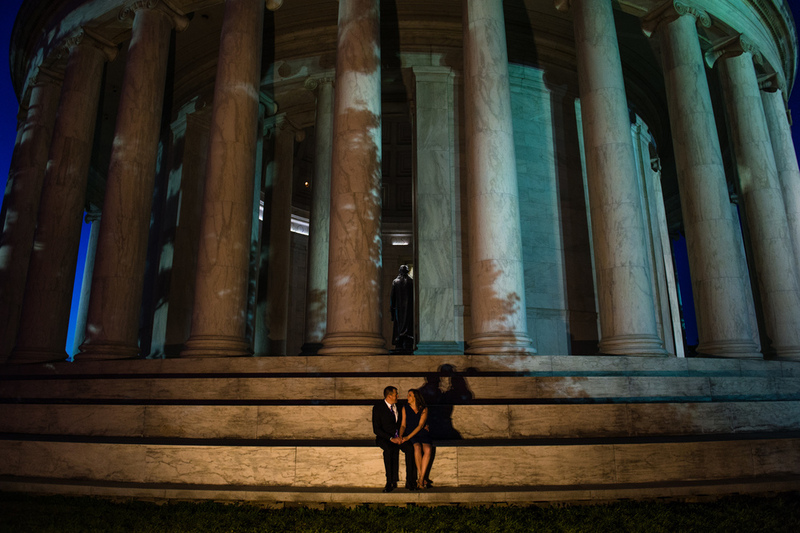 Although they aren't from D.C. originally, Scott and Valerie have come to love the city. At the same time, they are an avid outdoor couple! 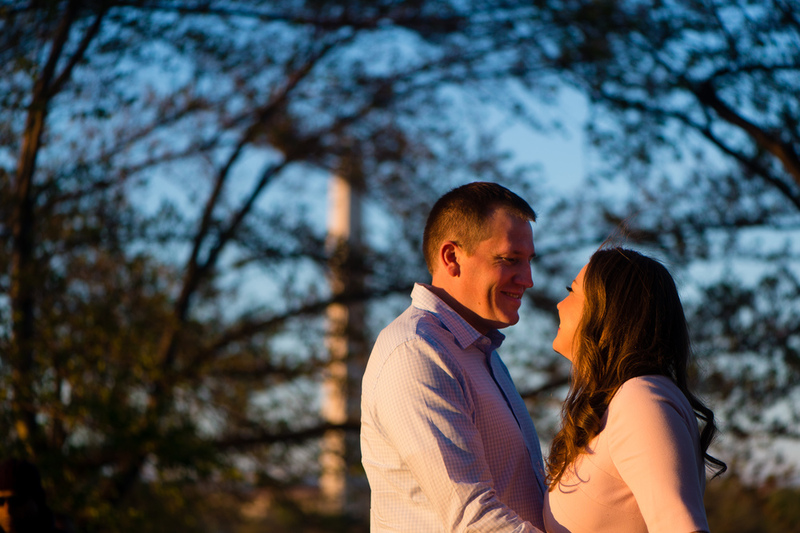 They actually met because of hiking and the outdoors, so this city engagement session will be a wonderful contrast to their wedding coming up in the Shenandoah National Park. Look out for those images coming later this summer!